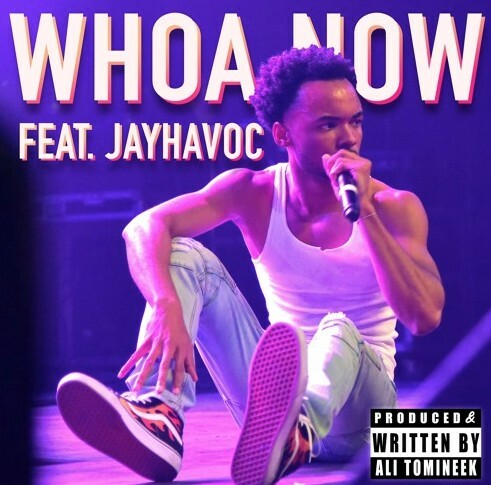 An artist that goes by the name of Ali Tomineek is making his Lyrical Lemonade debut today with his brand new offering titled “Whoa Now” featuring Jayhavoc. Ali Tomineek’s lyrical capability really stood out to me after running through this song a couple of times, you can tell that he takes pride in placing words at the perfect point in the song, he even stressed his voice in certain directions to match the energy of his self produced instrumental. As if Ali’s contribution to this record wasn’t enough, Jayhavoc blessed this back end of this one with an impressive feature to put the cherry on top. Listen to this brand new song below and if you like it go ahead and give him a follow on Soundcloud here.